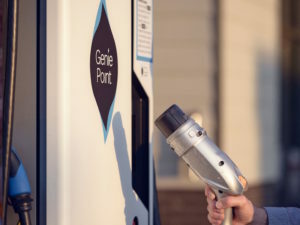 The £7m project will install 135 V2G chargers in a ‘cluster’ delivery model. Run by a consortium comprising Octopus Energy, Octopus Electric Vehicles, UK Power Networks, ChargePoint Services, Open Energi, Energy Saving Trust and Navigant, the project will acquaint drivers with the benefits of EVs by enabling them to test drive models and access a special V2G bundle, Octopus PowerLoop, when leasing a V2G-compatible car. The V2G technology will be based on a ‘cluster’ delivery model deploying 135 chargers that will facilitate research into the impact of widespread EV rollout on the UK’s electricity grid. Ian Cameron, head of innovation at UK Power Networks said: “Electric vehicles are effectively energy sources on wheels, so there are tremendous opportunities to explore how electricity networks can use any spare capacity in those batteries to benefit our customers. The project received a £3m funding injection by BEIS and OLEV delivered by InnovateUK.